My mom used to always leave notes for me in my lunchbox. Sometimes they were explanations ("the fork for your mac n&apos; cheese is in the front pocket") and sometimes they were just sweet ("I love you"). These notes of encouragement and/or information were always on napkins, so they usually got swiped across my milk mustache before I saw them. Oops. I think mom needs Name Bubble&apos;s new Write On Labels. Name Bubbles has figured out a way to solve this missing message link. They just launched their new Write-on Lunchbox Labels for back-to-school. The new message labels allow parents to send important reminders or notes to their kids, changing things up daily. They come with two writing tools - a semi-perm, no-smudge ink pen (for staying power that you can only remove with rubbing alcohol) and a hydro-marker that just rubs off with a clean cloth. Now you can write anything from to-do lists and confidence-building notes to a simple drawing to brighten up your child&apos;s school day. This way everyone is on the same page on different days. Just wipe yesterday&apos;s message away and fill it with a new one today. Messages like: &apos;Mommy loves you!&apos; &apos;Eat your carrots.&apos; &apos;You&apos;re grounded, so if you think you&apos;re going over Angela&apos;s house after school, think again.&apos; Oh wait. That last one was actually a flashback to a napkin my mom left in my lunchbox once. 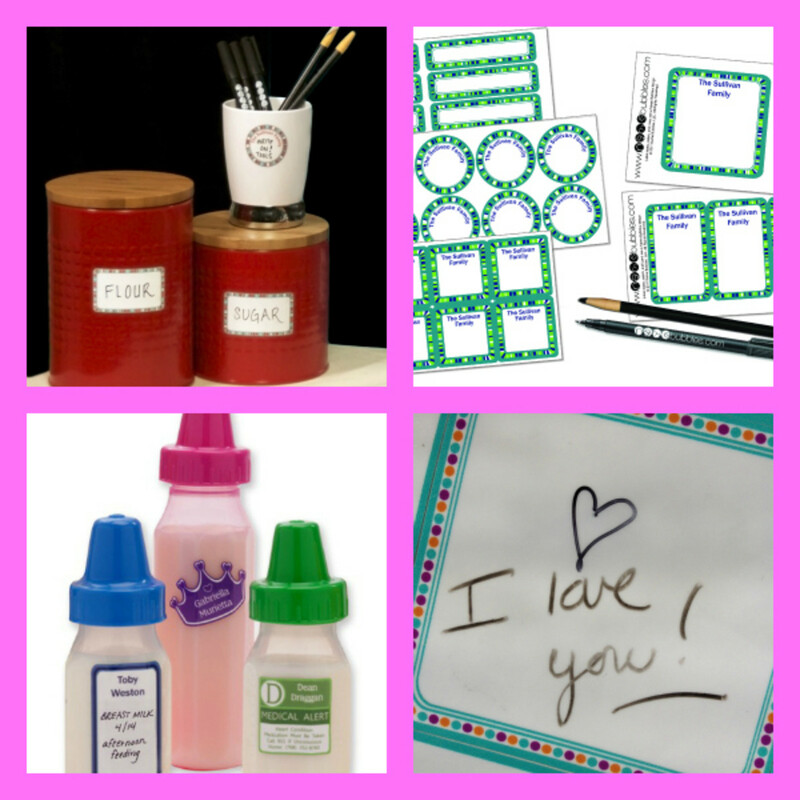 Lunchbox Labels come in thin rectangles, squares, circles and shapes like airplanes, penguins, football helmets, hearts and flowers, so they can be as cute as the message you leave. They&apos;re dishwasher safe and can be warmed or heated in the microwave (a quick note: the ink won&apos;t come off as easily if the message is still there when you warm it up). These are also great for when you leave something in the fridge for your kids after school and the dish requires warm-up instructions (or let&apos;s face it - when you leave something for your husband during your GNO). Even daycare centers will love them, since you can write on bottles when your baby should get their milk. Dare I say this: we used them with feeding instructions for our puppy when we dropped her off at the kennel for the weekend. Babies come in different shapes, sizes and fur types. Now I can draw little hearts and write little messages to our daughter every morning. She&apos;ll know we&apos;re thinking about her while she&apos;s at school. Even if the message is "Eat your carrots." Write on Labels are available at namebubbles.com starting at $21.88. Don&apos;t miss our post on how to pack an eco-friendly lunch. Momtrends was not paid for this Name Bubble&apos;s New Write On Labels post.